COAL’S SLOW BURN The promised Oct. 20 update on the lengthy list of questions and comments posed by residents will likely include something to effect of “We’re working on it.” Recall, nearly 700 speaker cards were turned in for the Sept. 21 special Oakland City Council meeting on the proposed transport of coal through the currently under construction large bulk terminal at the former Oakland Army Base. The City Administrator’s Office boiled down the queries to 18 questions. A city staff report, however, suggests it won’t have any definitive answers on the legality and potential steps to stop coal traveling through Oakland until the end of the year. That’s about right, since the council direction last month was to begin steps toward a potential prohibition of coal, if desired, by the first week of December. MTC/ABAG MERGER Oakland is preparing to step into the brewing conflict between the Bay Area regional Metropolitan Transportation Commission’s (MTC) desire to merge with the regional land use body known as the Association of Bay Area Governments (ABAG). In a resolution Tuesday, the city is calling on MTC to not hold up funding for ABAG projects as a bargaining chip for merging the regional government bodies. It should be noted only ABAG has expressed land use powers and one notable project, Plan Bay Area, a 30-year regional land blueprint, could be harmed by the dust up and merger. Plan Bay Area was approved despite vehemently opposition by conservative and Tea Party groups who disliked the transit-oriented and high-density housing aspects of the proposal. Cities like Oakland worry funding uncertainties for analysis and studies related to Plan Bay Area could stymie the project. The resolution also directs Oakland’s representative on MTC to vote against their merger plans. That person is Mayor Libby Schaaf. STATE OF THE CITY You might assume Mayor Schaaf thinks her first 10 months in office have been successful since she is already offering a State of the City address scheduled for the evening of Wednesday, Oct. 28. The speech is part of an open house at City Hall that starts at 4 p.m. to 7:30 p.m. In a memo to the City Council, Schaaf’s office says the speech will focus on “how we are meeting the goal of making this a more vibrant and equitable city that is growing responsibly.” Be prepared for Uber’s recent move to Downtown Oakland to be strongly highlighted. More details will be offered during Tuesday night’s council meeting. SAN LEANDRO/Oct. 19-20, 7 p.m.
Asset forfeiture allocation; minimum wage bump coming? ASSET SEIZURE SPENDING SPREE The San Leandro Police Department has $170,000 in asset forfeiture funds, proceeds resulting from the confiscation of various items involved in an alleged crime. Law enforcement opponents loudly criticized police efforts to use what they view as ill-gotten gains for furthering their power. In this case, SLPD says it will use $80,000 to replace bullet proof vests for SWAT; $40,000 for furniture and field equipment; $25,000 for rifles and related uses; $15,000 for police equipment or “unanticipated consulting service needs; and $10,000 for community outreach materials. MINIMUM WAGE TALKS In yet another example of San Leandro’s City Council showing a more progressive slant, its Finance Committee will begin a discussion on raising the minimum wage. (The meeting is Tuesday, Oct. 20, 5 p.m. at City Hall.) 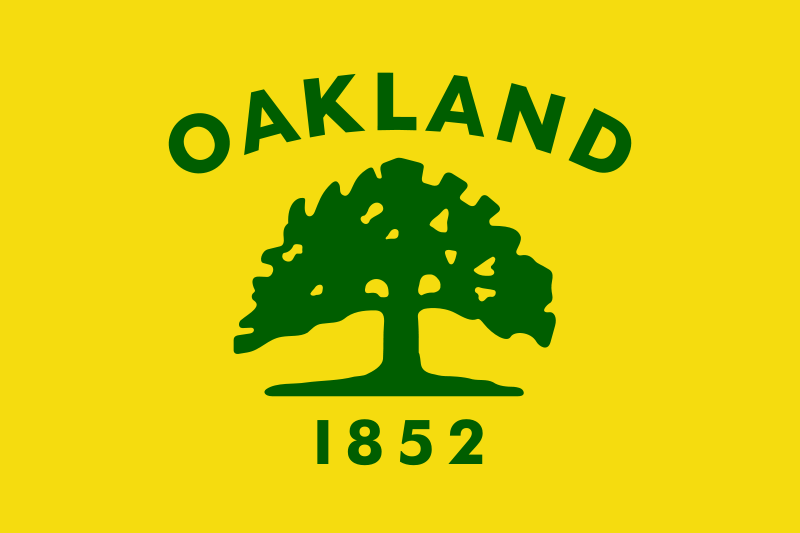 No details are available on any proposal, but recall voters in Oakland last November approved a ballot measure increasing the minimum wage to $12.25 an hour. Statewide, the minimum hourly wage is scheduled to increase to $10 next year and a labor-backed ballot initiative proposing it rise to $15 by 2021 is in the petition-gathering stage. For context, though, San Leandro has a living wage ordinance on the books for companies doing business with the city’s government that is set at $14.57 an hour or $13.07 if health benefits are included. NEW STRATEGY FOR ALAMEDA POINT More than a year ago, developers voiced uncertainty about the commercial enterprise district portion of the Alameda Point development. With the mixed-used residential portion, known as Site A, clearly moving forward, Alameda city staff wants to offer a new strategy for the Enterprise District, formerly named as Site B. Among the suggestions are reissuing a Request for Qualifications (RFQ); restarting negotiations with two previous developers deemed by the city to be finalists for the project; or focusing their efforts not on seeking developers for the Enterprise District, but concentrating on major commercial businesses. 2016 TAX MEASURES Like many other municipalities, Alameda is examining the possibility of placing revenue-generating tax measures on the 2016 ballot. Two chances are afforded such an opportunity next year–June primary or November general election). On Tuesday, the City Council will hear discussions about four potential ballot measures. They include increasing the Utility Users Tax, currently at 7.5 percent; raising the sales tax from 9.5 percent; and/or bumping the Transient Occupancy Tax from 10 percent or scrapping it and forming a Tourism Business Improvement District. A parcel tax for maintaining city parks is also a potential route for adding extra revenue. Floating all four or even more than one is probably unlikely. Keep in mind, the Alameda Unified School District is also planning a high-profile parcel tax for the November 2016 ballot. Subsequently, polling would come next and the city manager’s office expects its cost should not exceed $32,000. Posted in Alameda, Alameda Point, City Hall Insider, coal, Libby Schaaf, minimum wage, MTC, Oakland, Oakland Army Base, s.l police, san leandro, state of the city, tax measures. Bookmark the permalink. In regard to the issue of coal, or for that matter any possible toxic or hazardous substances, moving through Oakland, or anywhere else, if the companies involved are providing money to at least some of the local politicians, and such as for instance the mayor and/or members of the City Council, etc, then most likely any “investigation” or “study” by the City Administrator and/or City Council's office will be nothing more than a scripted, choreographed, and prearranged charade, coverup, and whitewash. However since to the best of my recollection Oakland City Council Barbara Parker, in other words Oakland's head lawyer, has a degree from Harvard, therefore if she tries feeding you any lies, garbage, and mentally retarded nonsense, and as lawyers usually do, don't insult her, but instead get down on your hands and knees and kiss her feet. NOTE: Some years ago I was involved in a whistleblower lawsuit, and when I made a comment about one of the attorneys involved that he considered to be disrespectful to both himself and also to lawyers in general, he then took the position that it should be illegal for me to make insulting remarks about lawyers. And back then I was not even yet aware of the fact that lawyers have far and away the highest rates of alcoholism and drug addition of any major profession. However as a result of the virtually non-stop lies, garbage, and mentally retarded he and his co-conspirators bombarded me with, I not only found out about the higher than sky high rates of alcoholism and drug addiction that infests that sleazy mafia which calls itself the legal profession, but also a lot of the other dirty laundry which members of the legal profession do not want the general public to know about. In my above post I made a spelling error, since I should have referred to Barbara Parker as the Oakland City COUNSEL. And as to the terms I frequently use when referring to most lawyers, I cannot mention those here since this is basically a family type newspaper. However one of the very most prominent lawyers in the entire country, and who is also a graduate of Harvard Law School, did take the position that it should be illegal to tell jokes about lawyers, since he said some members of the general public considered lawyers to be bloodsucking leeches, so he therefore argued allowing people to openly show disrespect for lawyers invited members of the general public to commit incidents of violence against lawyers. Of course being a lawyer, he therefore definitely and absolutely “knew” that it was a much bigger deal if even one lawyer was a victim of violence than if even ten thousand gas station attendants or fifty thousand 7-11 clerks were victims of violence. And I would tend to agree with him, since after all lawyers are such extremely superior people. In Alameda, all four members of the Rent Review Advisory Committee will be re-appointed. The Alameda Renter Coalition will be there to highlight that this committee is a sham and does nothing more that rubber stamp 10% rent increases for Alameda landlords . Concerning the above post of 10:03PM. While I am not familiar with the politics of the city of Alameda, although I am somewhat familiar with the politics of Alameda County government and also of Bay area politics in general, so therefore it would not surprise me in the slightest if one or more of the boards, commissions, and committees in the city of Alameda only pretends to be independent, but however in reality is nothing more than window dressing, a stooge, and a puppet on a string, and whose real and actual purpose is merely to rubberstamp previously decided decisions that had already been made by a person or board of higher rank, since that is the way things usually work in government, and especially in the Bay area. So therefore whenever those professional pathological liars, scam artists, and practitioners of deceit, deception, and fraud with law licenses try feeding you their lies, garbage, and nonsense, ask them if they are on drugs, and including since lawyers have far and away the highest rates of alcoholism and drug addiction of any major profession.